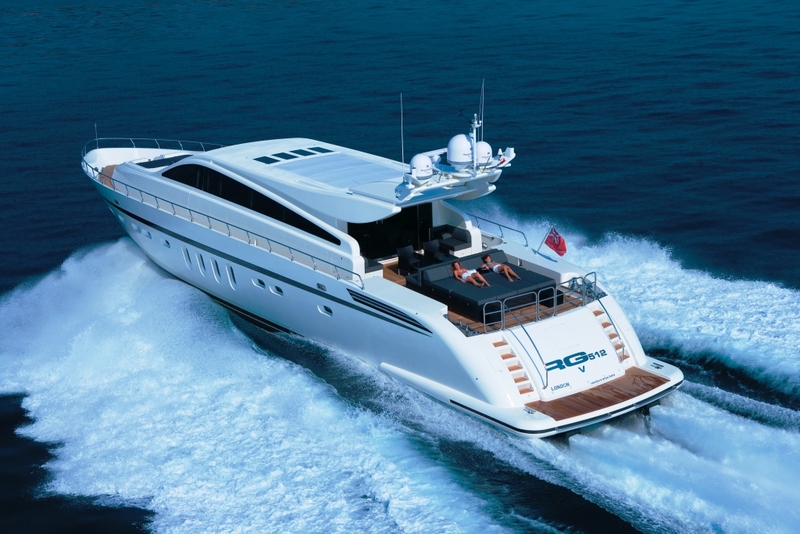 Motor yacht RG 512 is a 2006 Leopard 31 built by Cantiere Navale Arno. 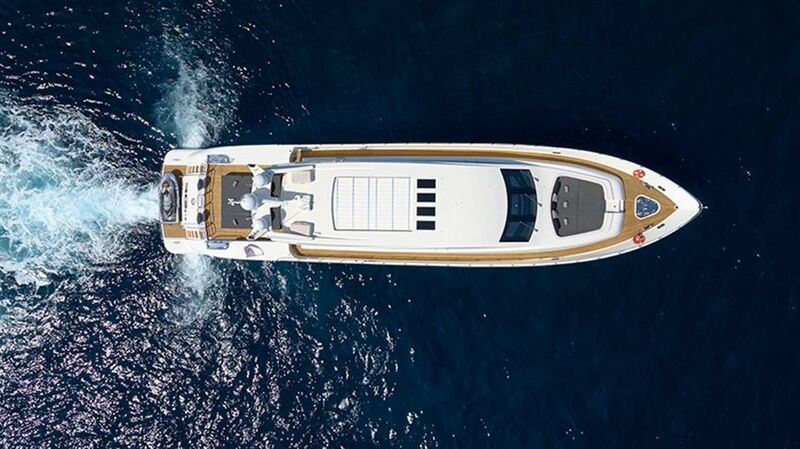 Measuring 30.50 m / 110ft in length, the superyacht RG 512 is a maxi open with sporty lines. 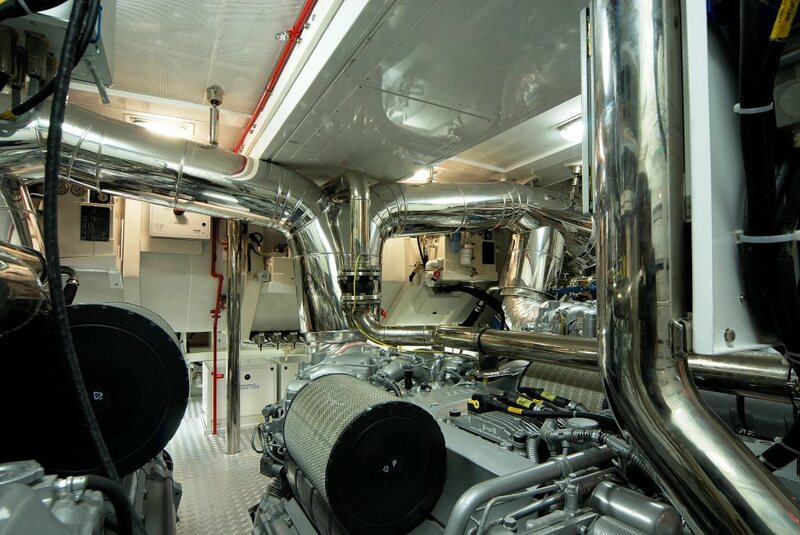 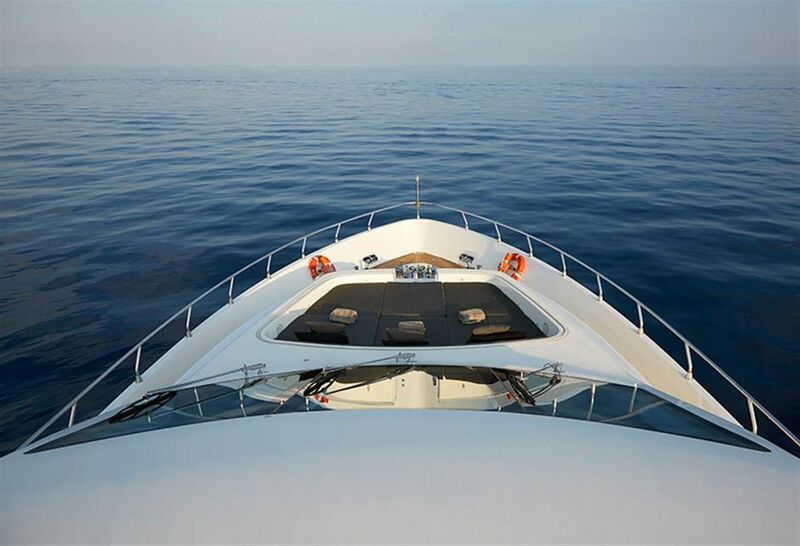 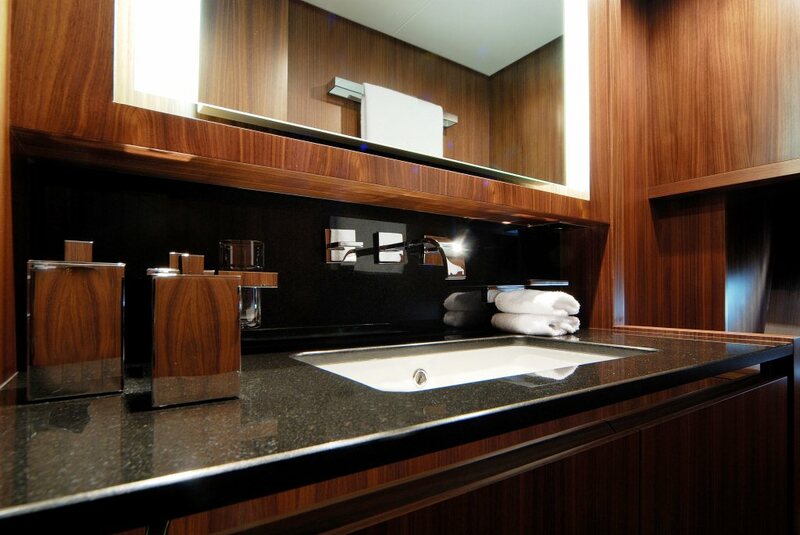 M/Y RG 512 is able to accommodate up to 8-9 guests in 4 cabins and she cruises the Mediterranean. 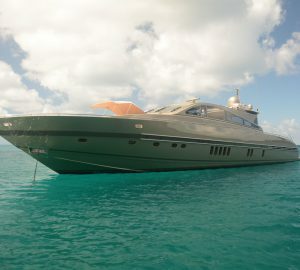 The Leopard 31 Yacht RG 512 was built by the renowned Cantiere Navale Arno with naval architecture by Studio Bacigalupo. 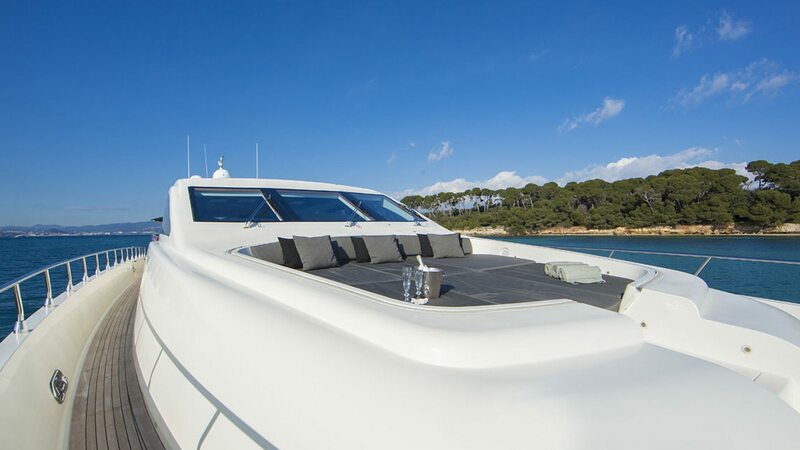 The Leopard 31 is a design evolution of the legendary Leopard 27, one of the first hard top superyachts introduced in the early 90's but still in production from this famous builder. 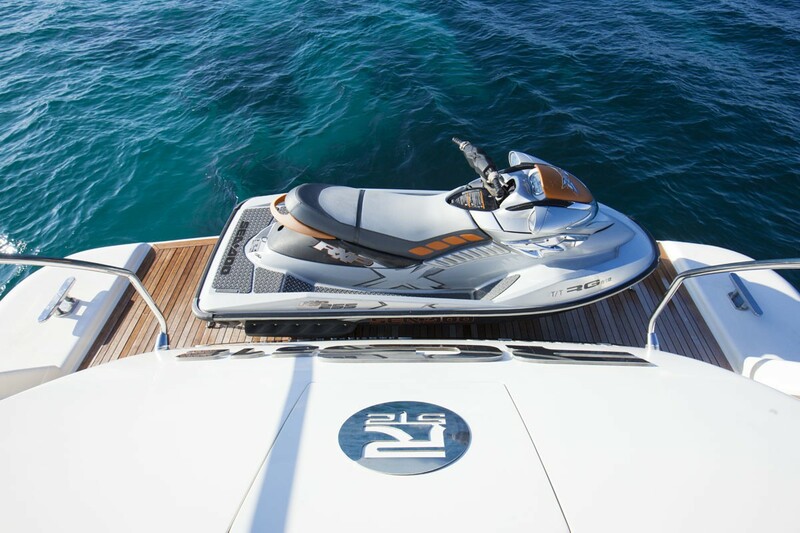 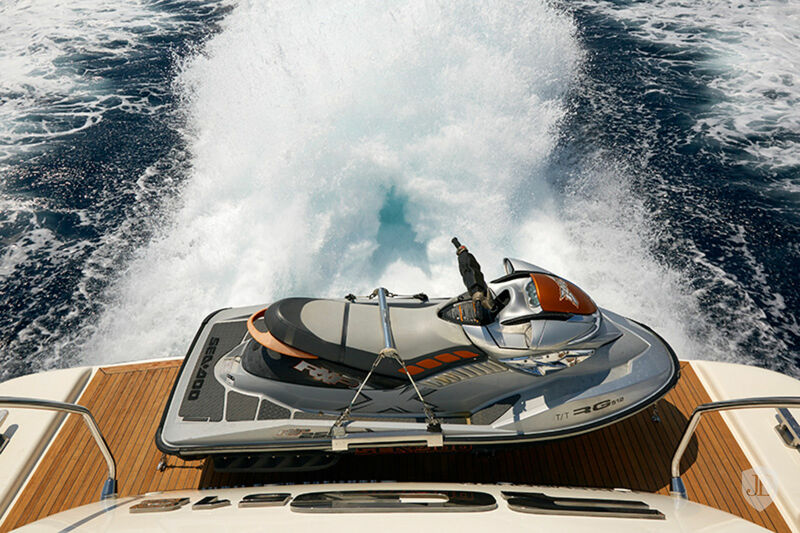 The Leopard 31 RG 512 has a profile that conveys its sportive nature and features a high-performance propulsion system propelled by Kamewa waterjets with the personalization and comfort of a traditional motor yacht. 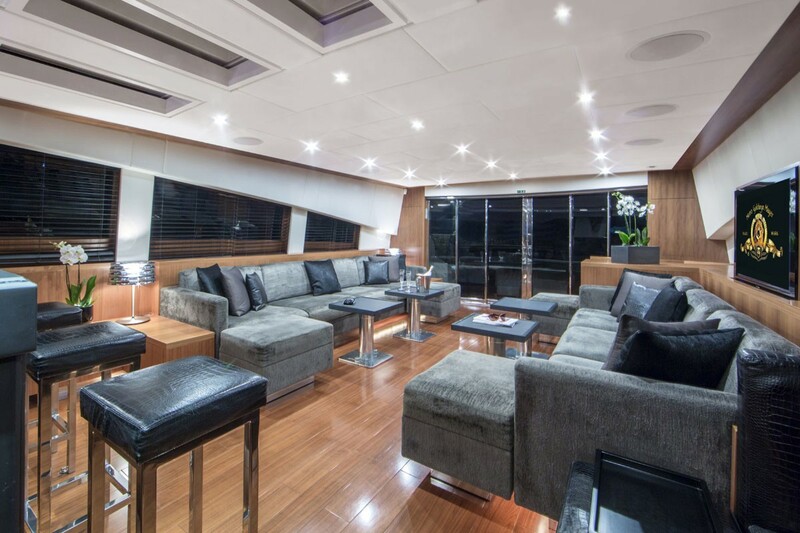 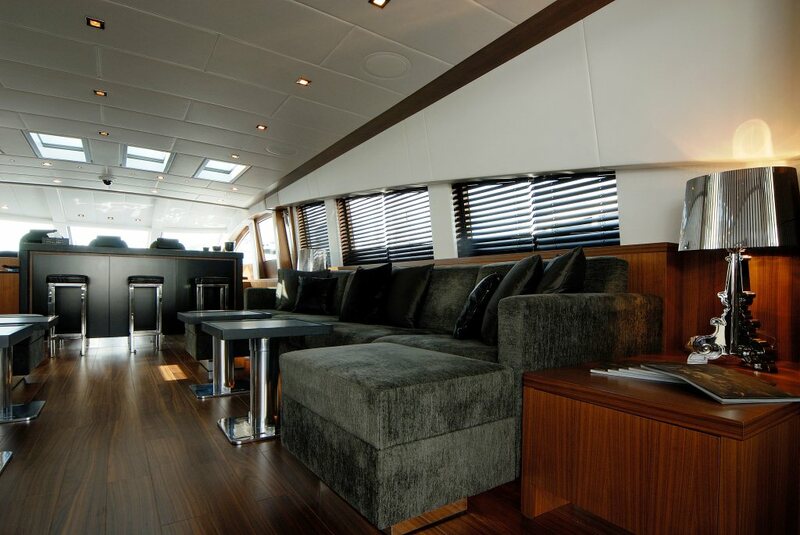 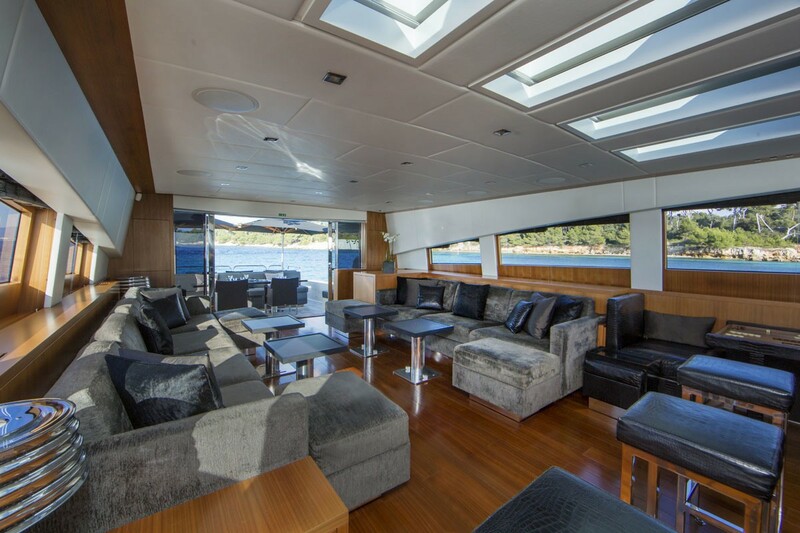 The RG 512 yacht has a very spacious main salon with large couches to both port and starboard providing comfortable lounging for all guests onboard. 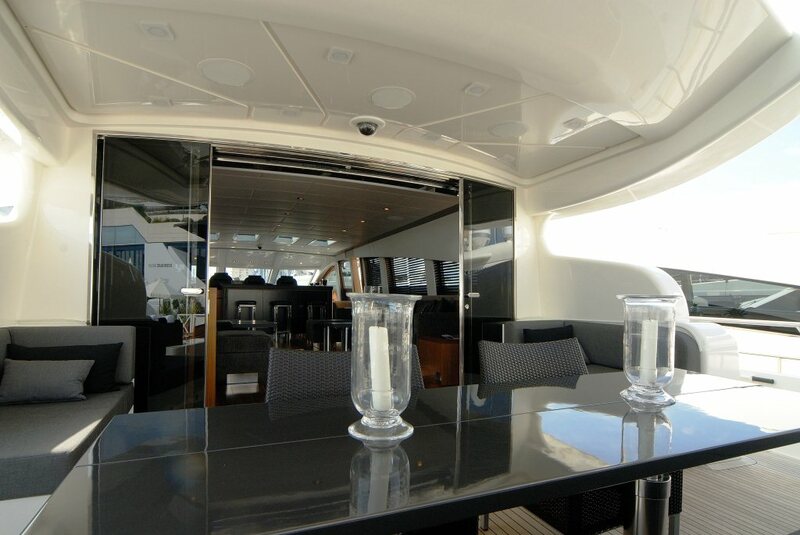 The coffee tables can transform to a larger dining table for formal dining indoors. 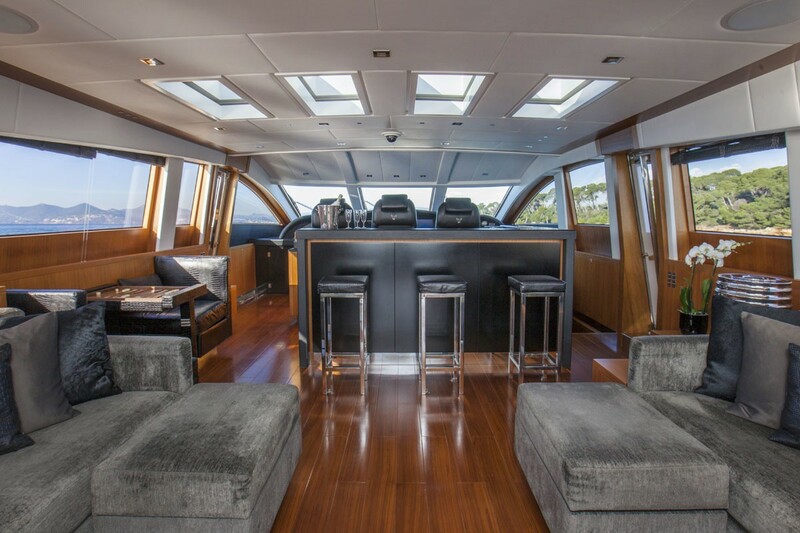 There is an entertainment system to port and a bar forward. 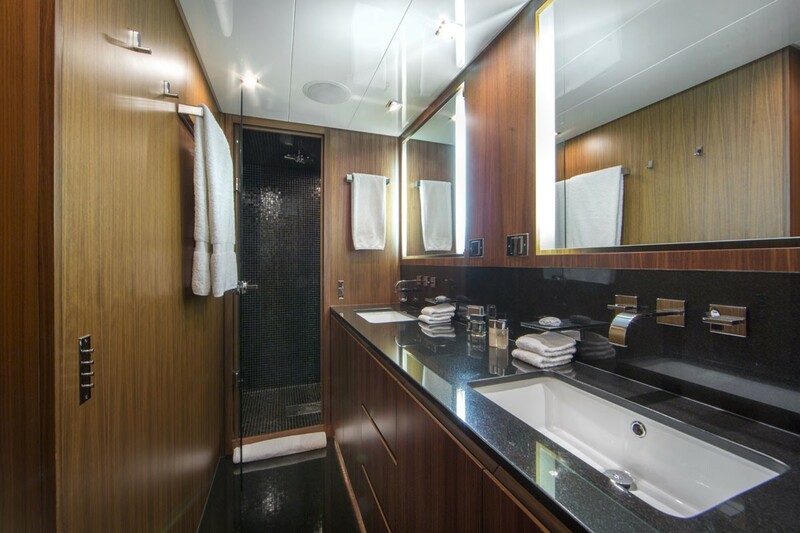 Superyacht RG 512 is able to accommodate up to 8 guests in 4 cabins including a Master, a VIP and Double and a Twin cabin, each with ensuite facilities. 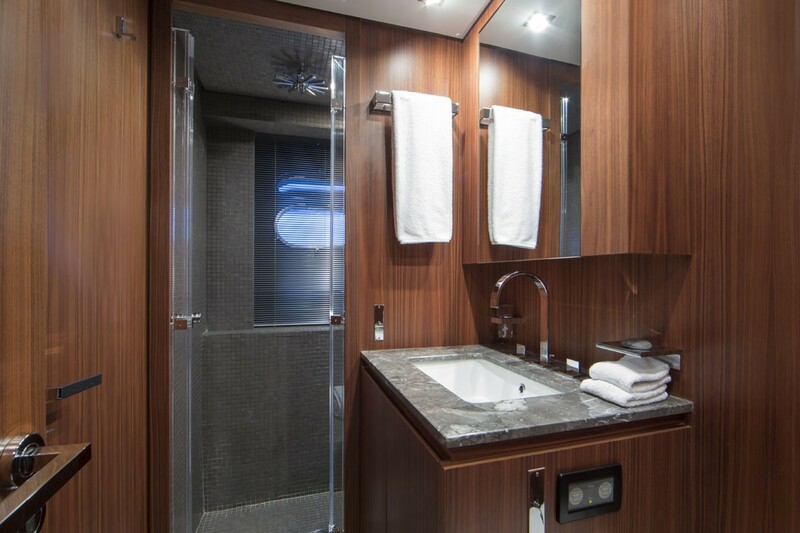 All cabins also feature a TV, Hi-Fi and air-conditioning. 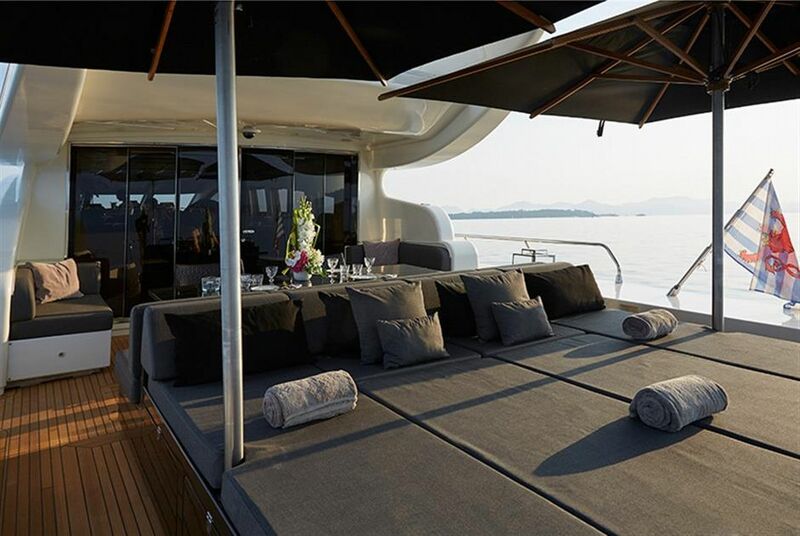 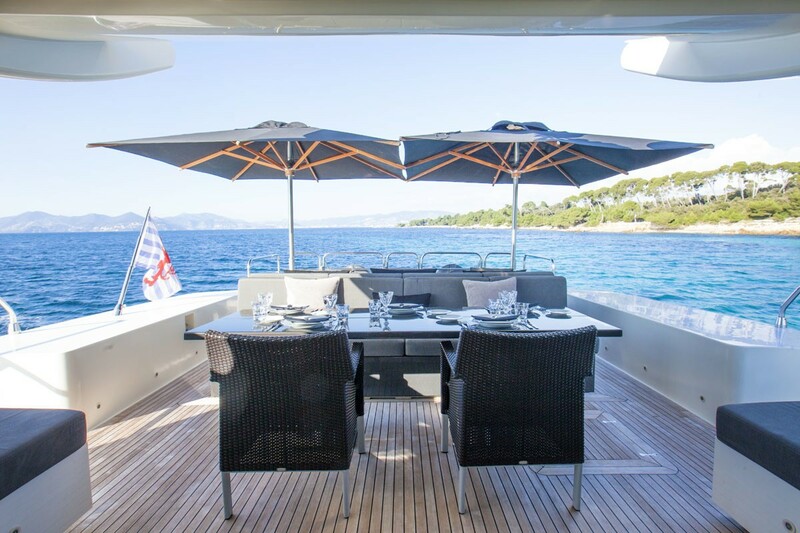 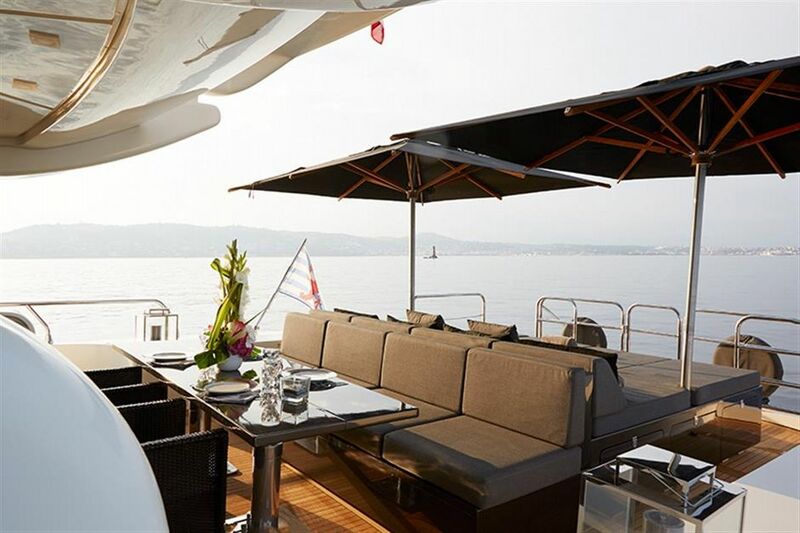 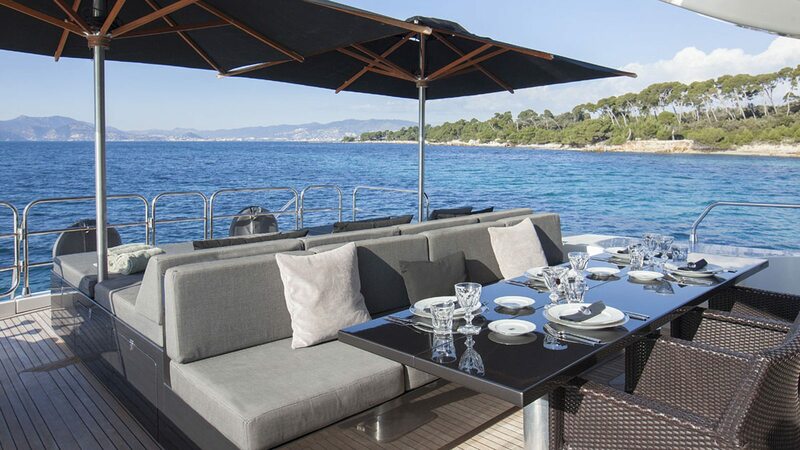 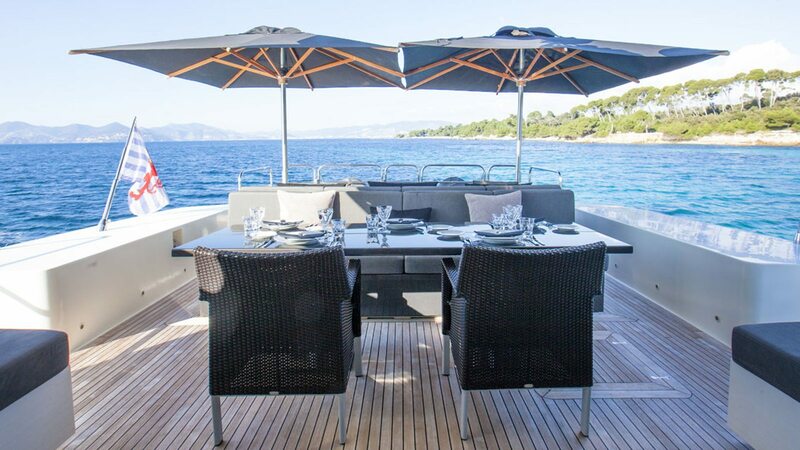 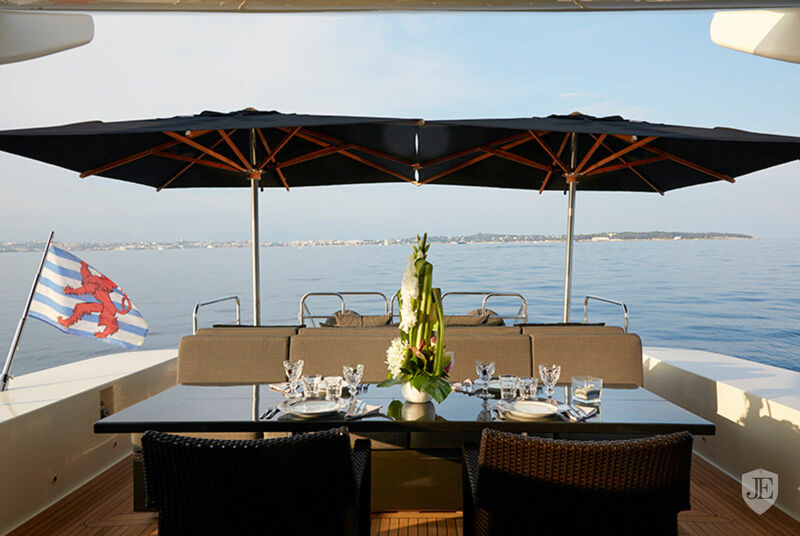 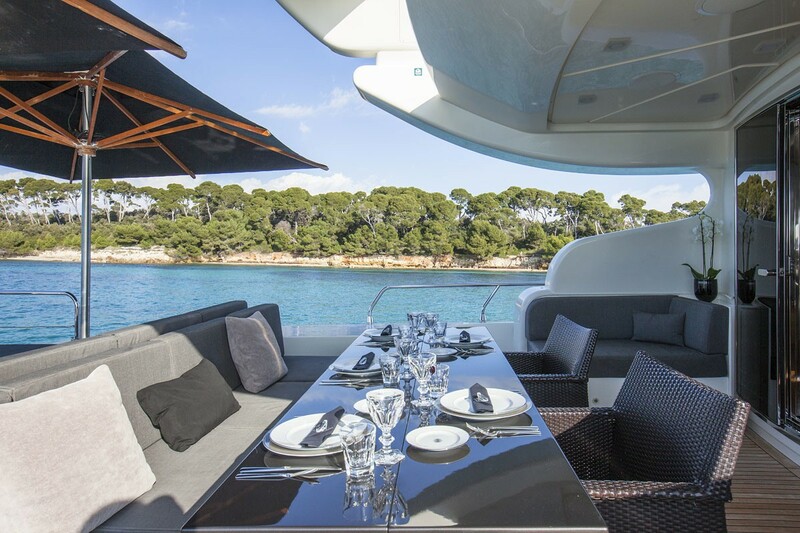 She boasts a wonderful aft deck with an alfresco dining table, large sunbeds with sun umbrellas, a swimming platform and a further sunbathing area located on the foredeck. 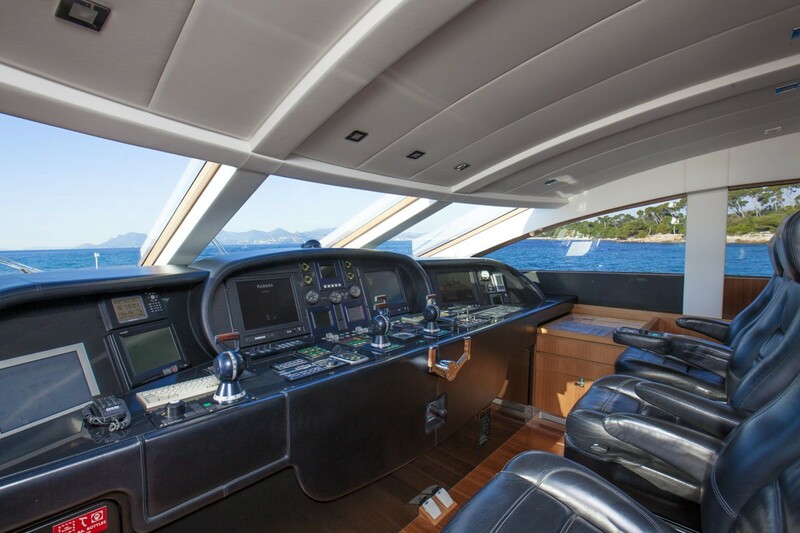 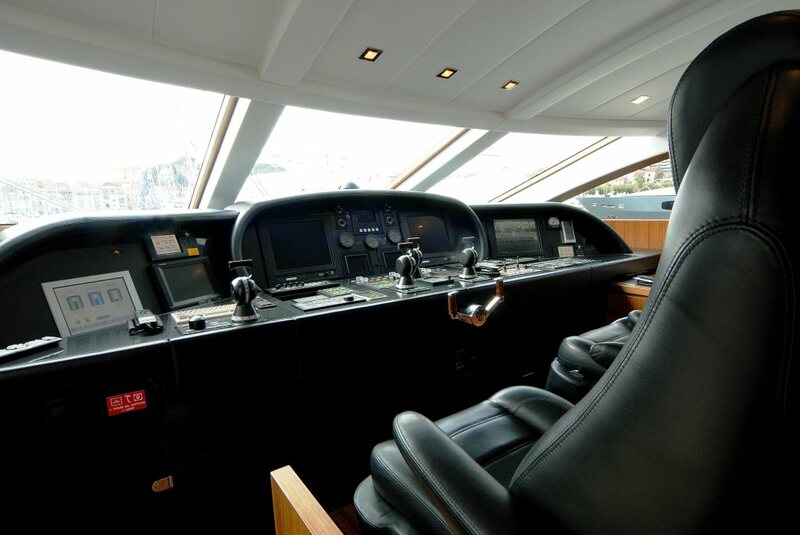 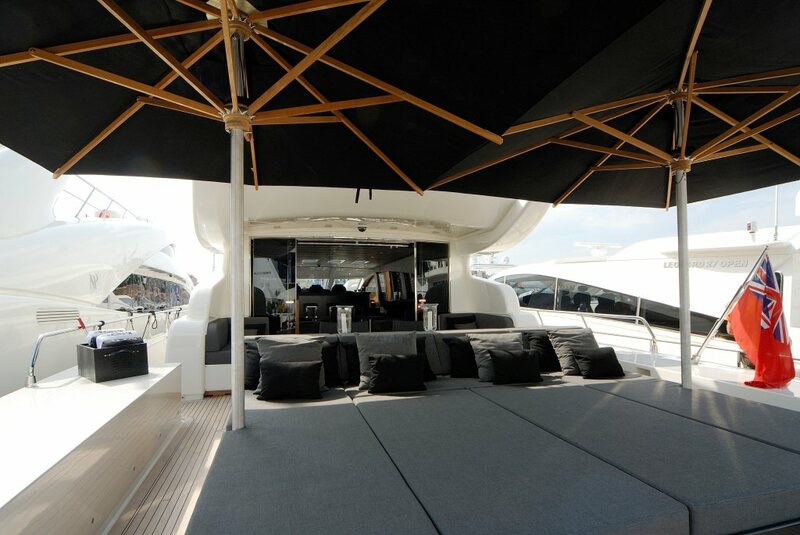 The yacht has a crew of 4 and is able to cruise a speeds of 35-39 knots. 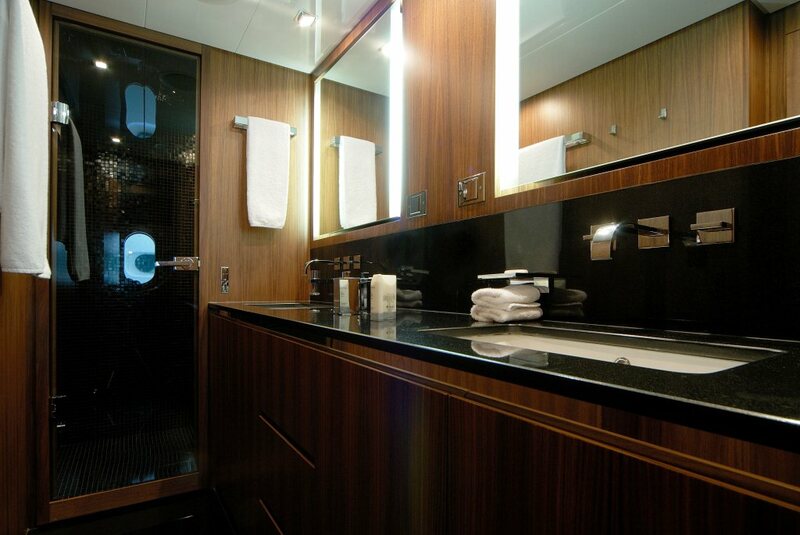 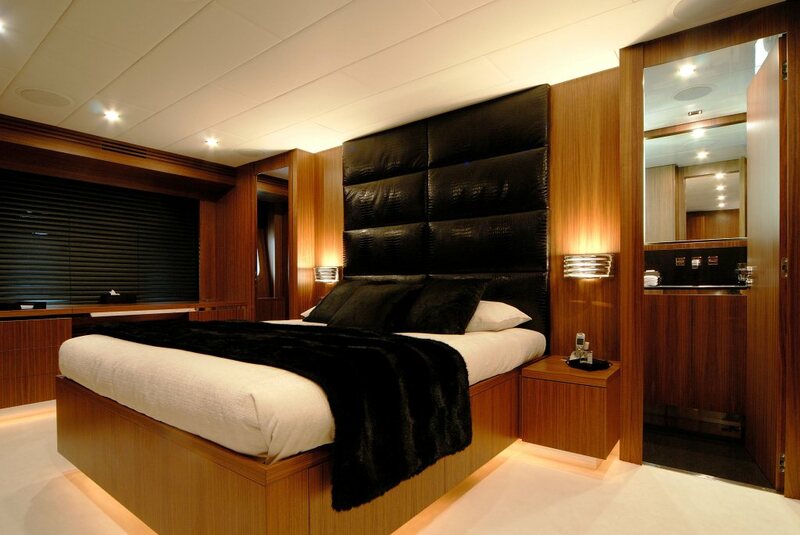 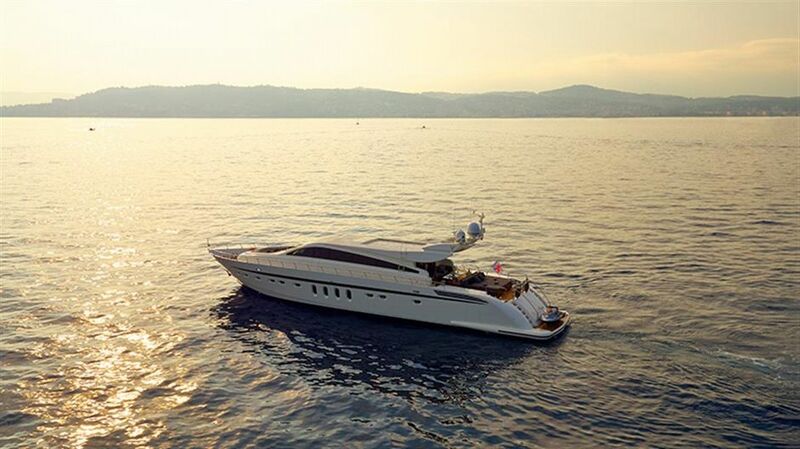 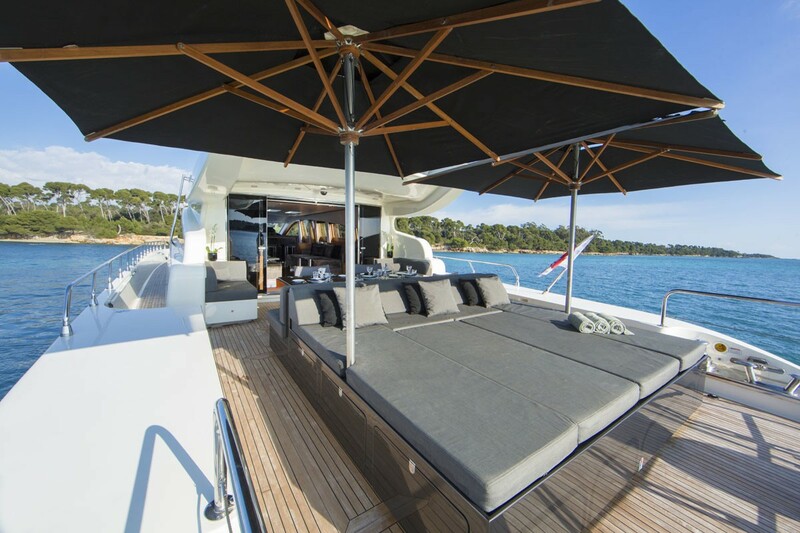 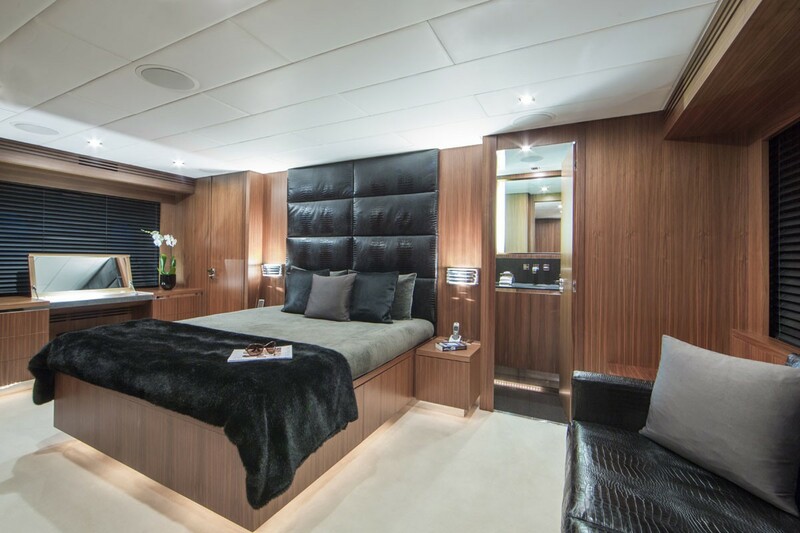 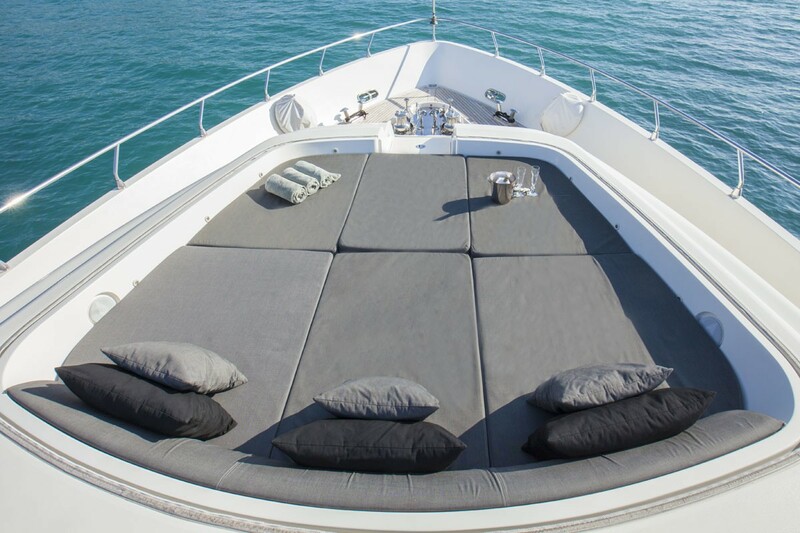 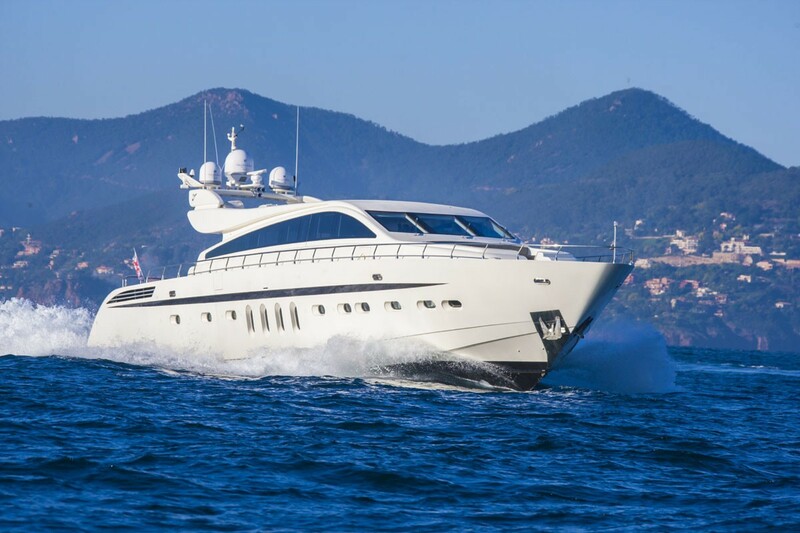 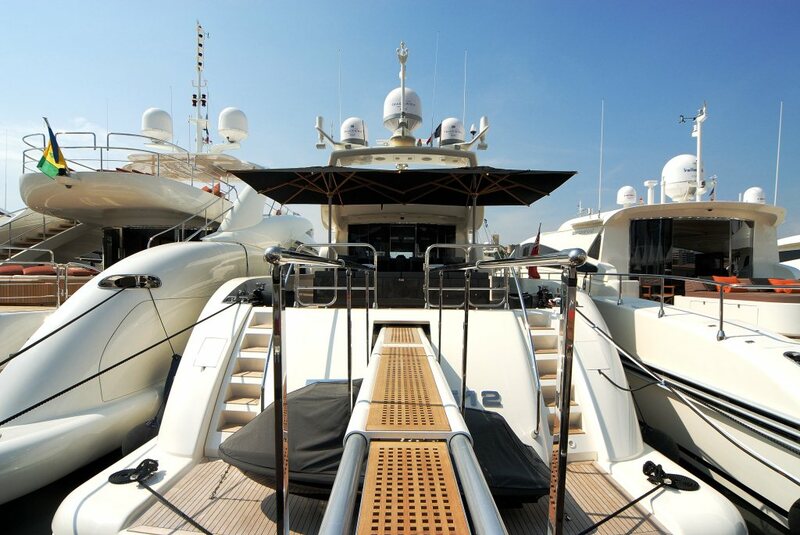 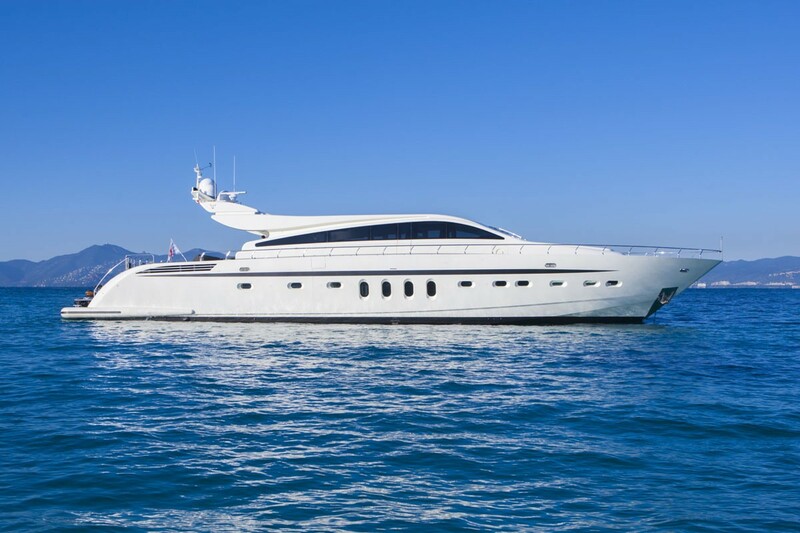 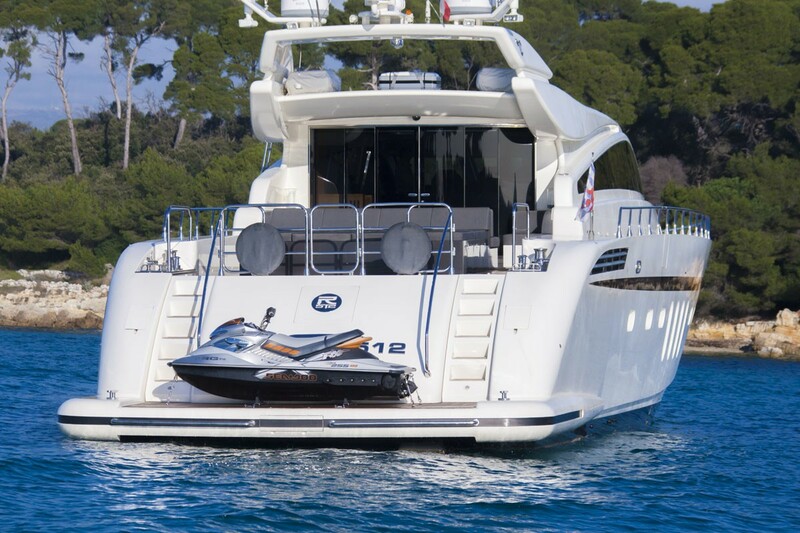 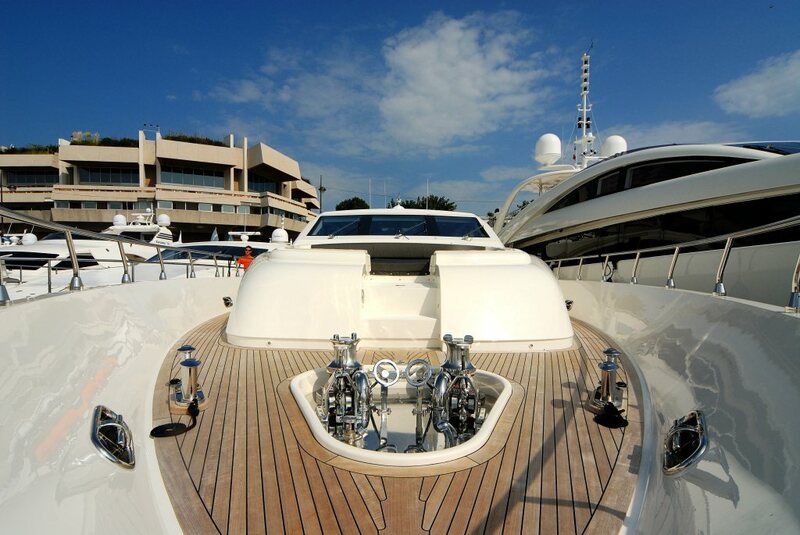 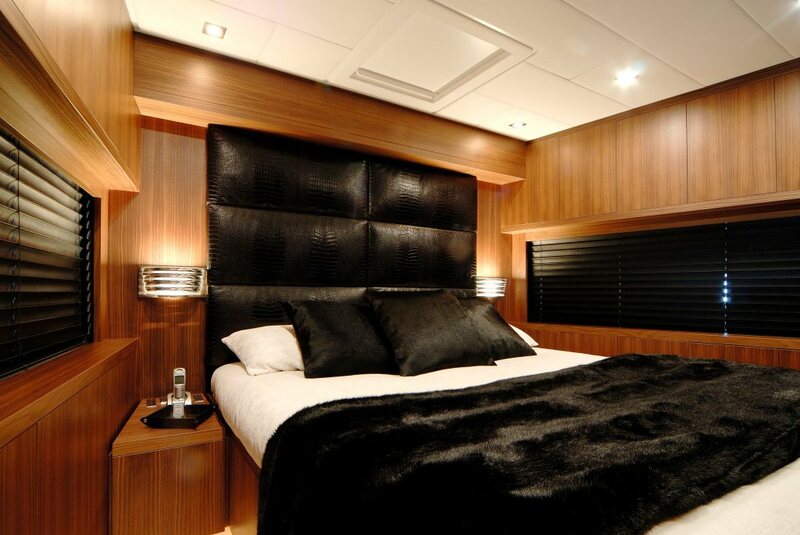 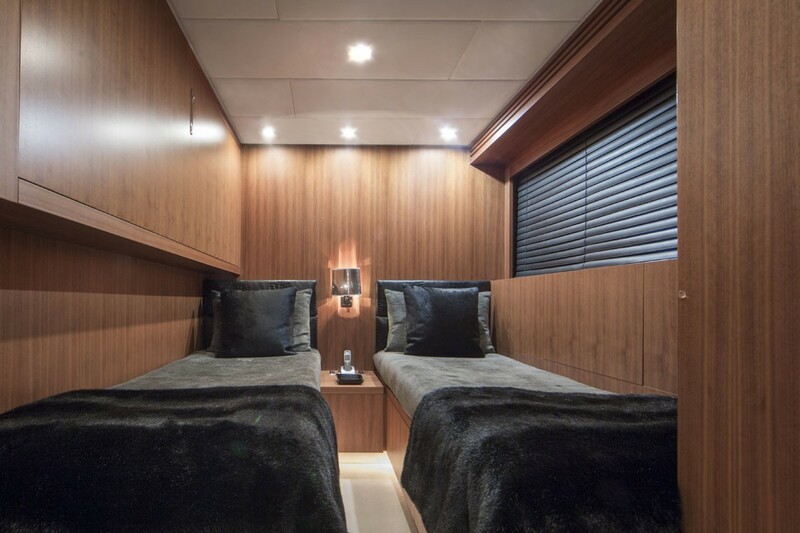 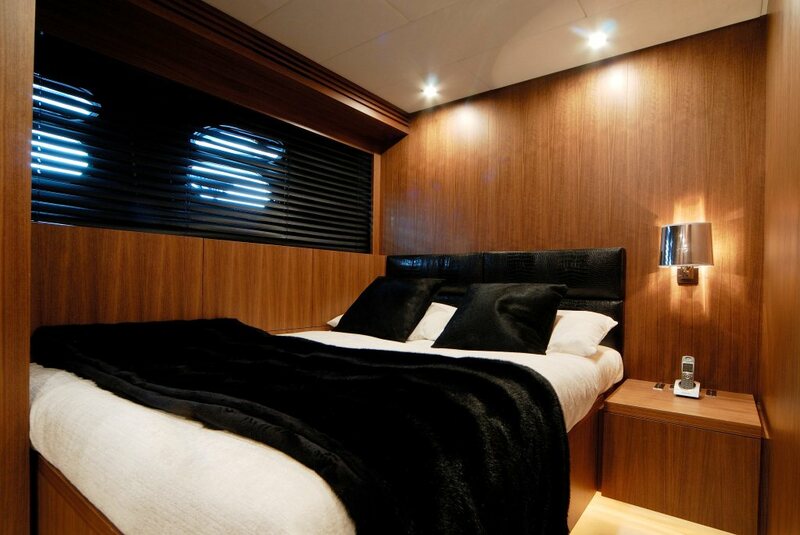 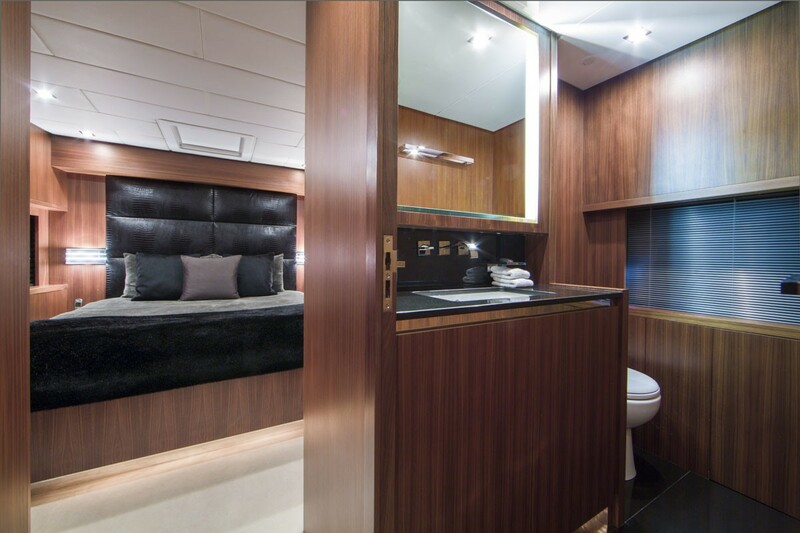 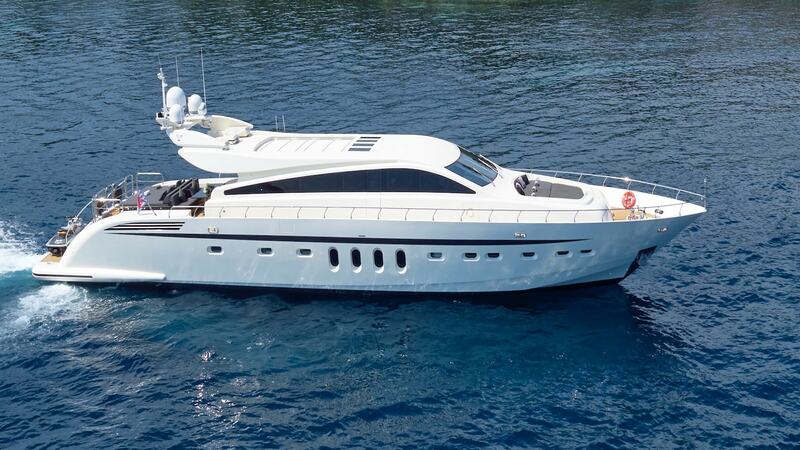 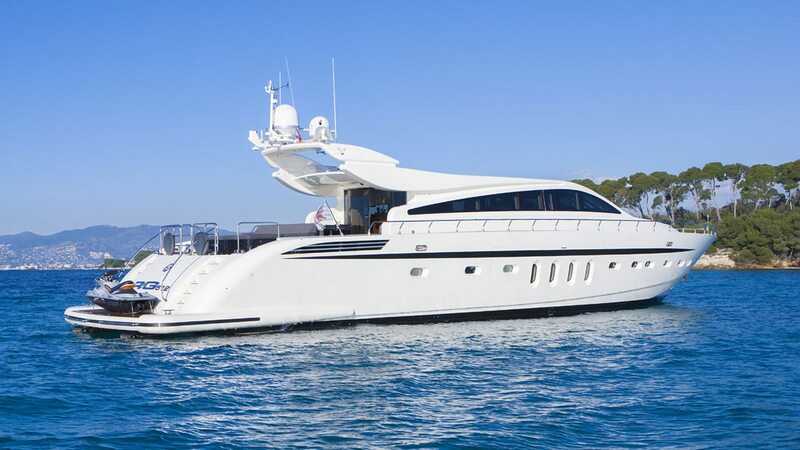 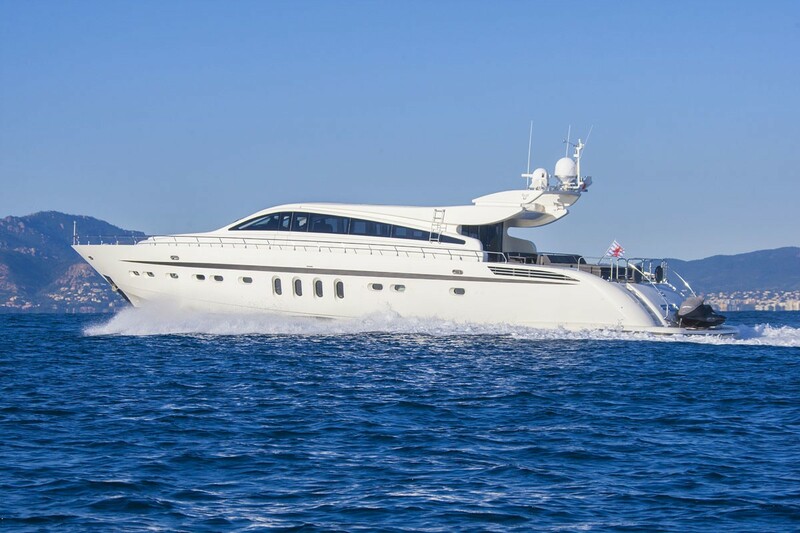 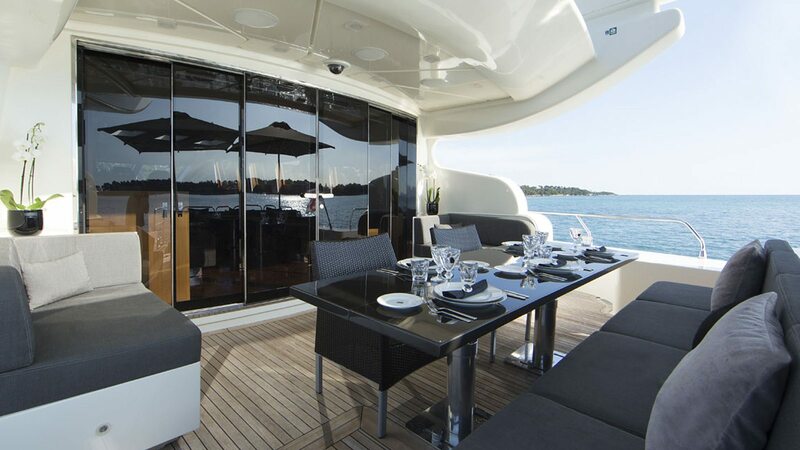 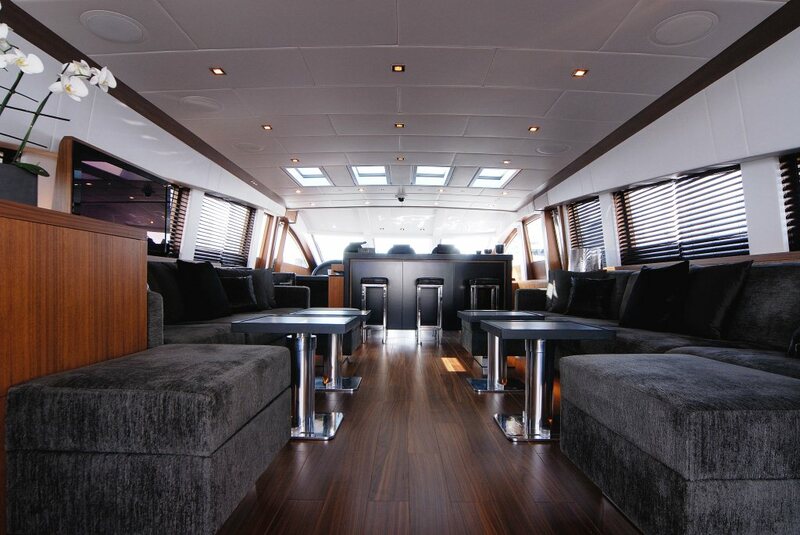 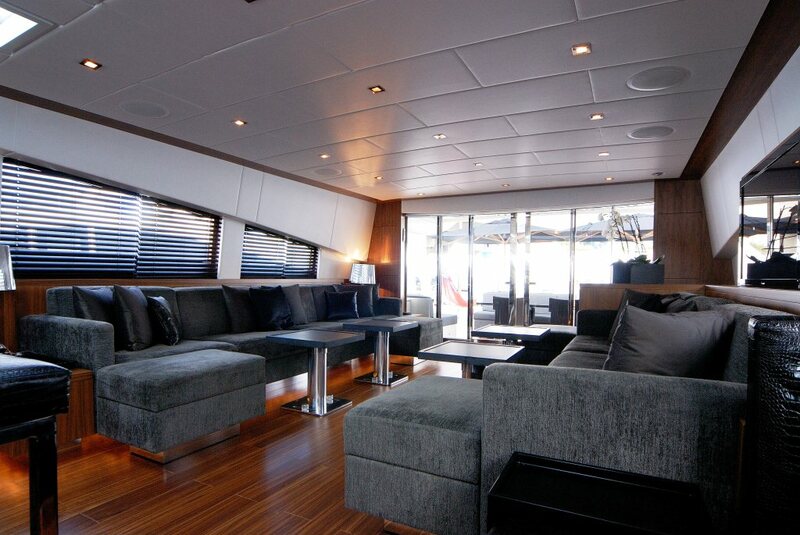 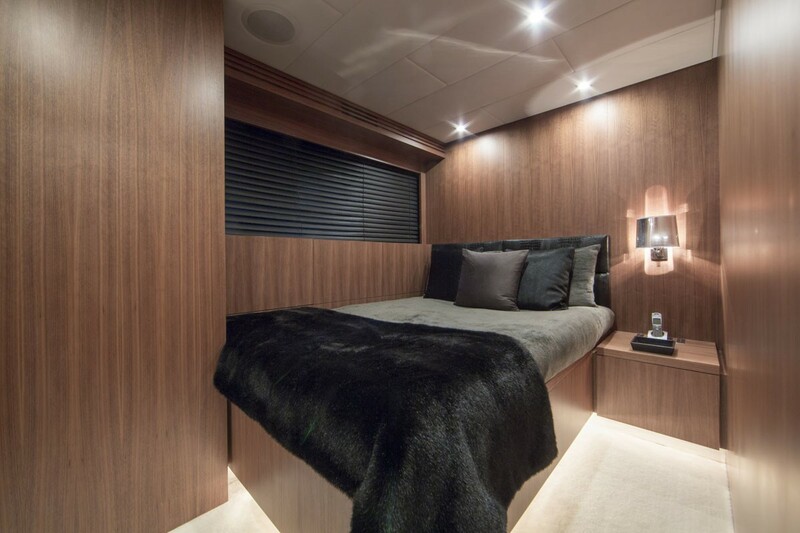 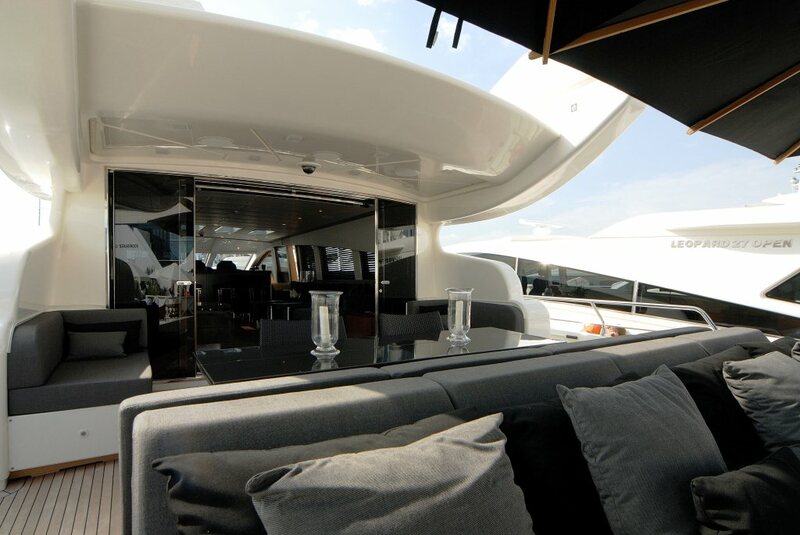 Motor yacht RG 512 has accommodation for up to 8 guests in 4 cabins. 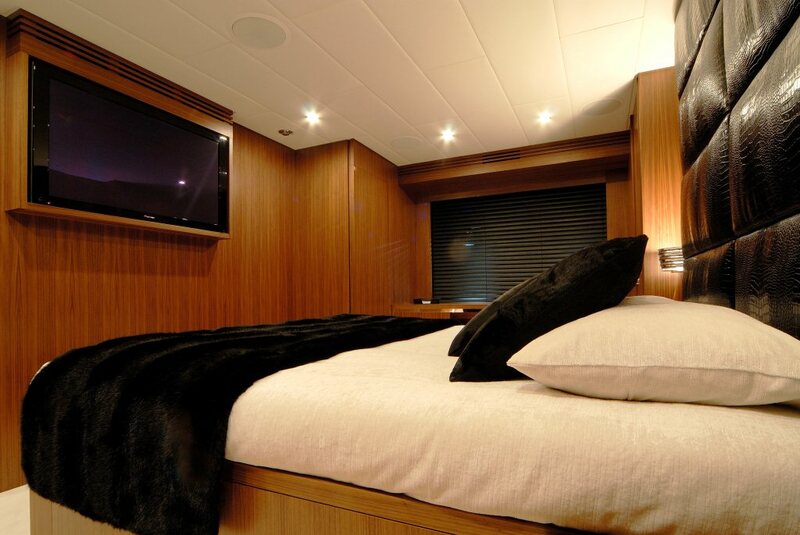 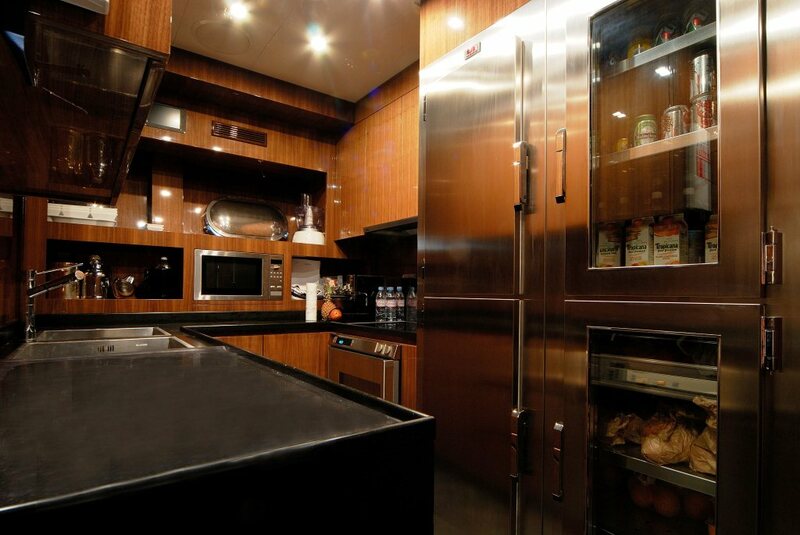 Her master cabin has a king size bed + TV + Hi-Fi + Full bathroom + safe + closet + A/C. 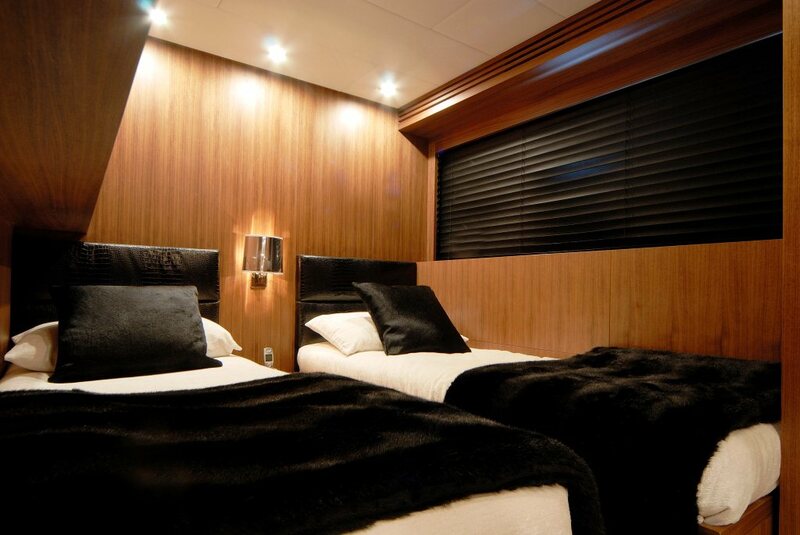 There are 2 VIP double cabins with a queen bed with TV + Hi-Fi + full bathroom + cabinets + safe + A/C and a twin cabin with TV + Hi-Fi + full bathroom + A/C. 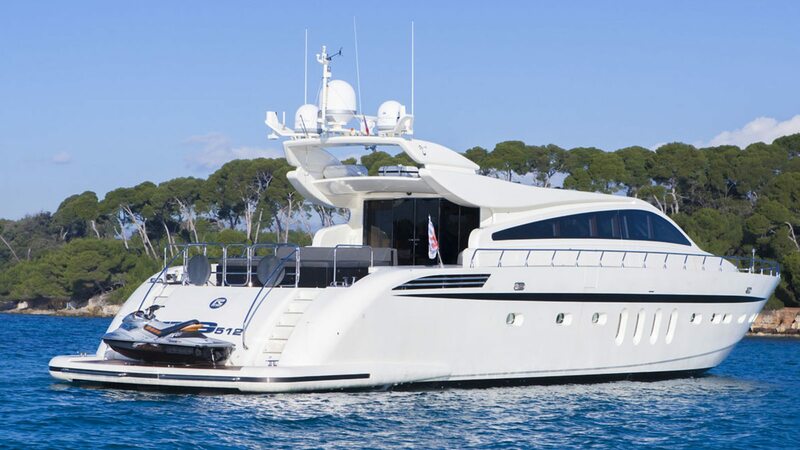 The Leopard 31 yacht RG 512 has the following Equipment onboard: WIFI, Saloon with the latest video - audio system + home cinema, Double saloon (superior + inferior), All cabins with DVD, Full-equipped kitchen, Exterior full bar, Exterior barbecue, Interior dining table for 10 people, Aft deck dining table, Sun bed area on the front, Swimming platform, Intercom telephone system, Exterior Hi-Fi, Extras: Tender, Jet ski, water ski, bouys, banana, snorkeling gear.